Excellence and innovation in the art of time measurement, both technological and stylistic, are fundamental principles rooted in the DNA of CYRUS, whose philosophy is to pursue the "Conquest of Innovation". CYRUS is one of the rare independent Swiss fine watchmaking manufactures which, thanks to its know-how and productive autonomy, can express the creative freedom in the realisation of its watches, from design, prototyping, production of calibres, decoration, testing and final assembly. Developed in the greatest secrecy, in collaboration with Jean-François Mojon, with two applications for international patents and a major innovation, the KLEPCYS enters the closed circle of prestigious, highly sought-after watches. A manual winding timepiece, 7 days power reserve, 100% manufacture. 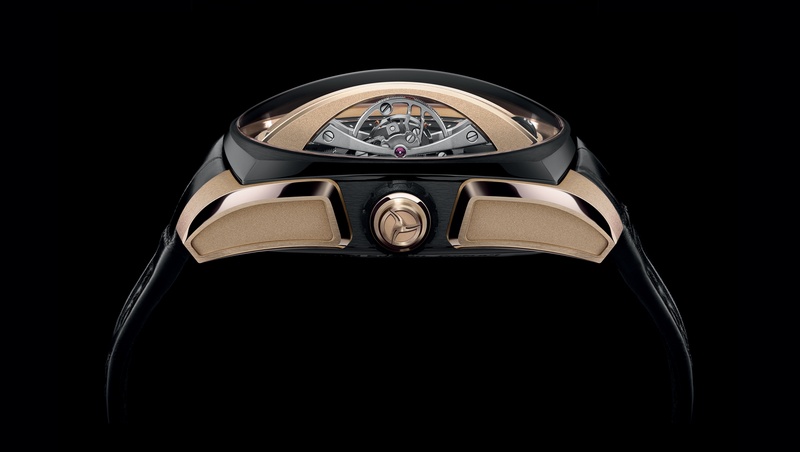 Designed by double-cousins Julien and Laurent Lecamp, founders of CYRUS timepieces. Developed in collaboration with Jean-François Mojon. Launch: April 2013!